On this page you will find the project summary and curriculum documents including student surveys, project outlines, assessments, WebQuests (inquiry-oriented lesson in which most or all the information that learners work with comes from the website), field observation assignments, grading rubrics, and other related assignments. Also, there is an iNaturalist PowerPoint slide show for educators to train their students in using iNaturalist. You may copy, distribute and alter these documents and training PowerPoint slide show with attribution to “Julie L. Wittmann”. This information is organized into three main parts which flows with chronological order of the actual project: Part 1, Part 2, and Part 3. As a teacher, I discovered that incorporating iNaturalist into my curriculum engages a variety of learners while providing exciting service learning. 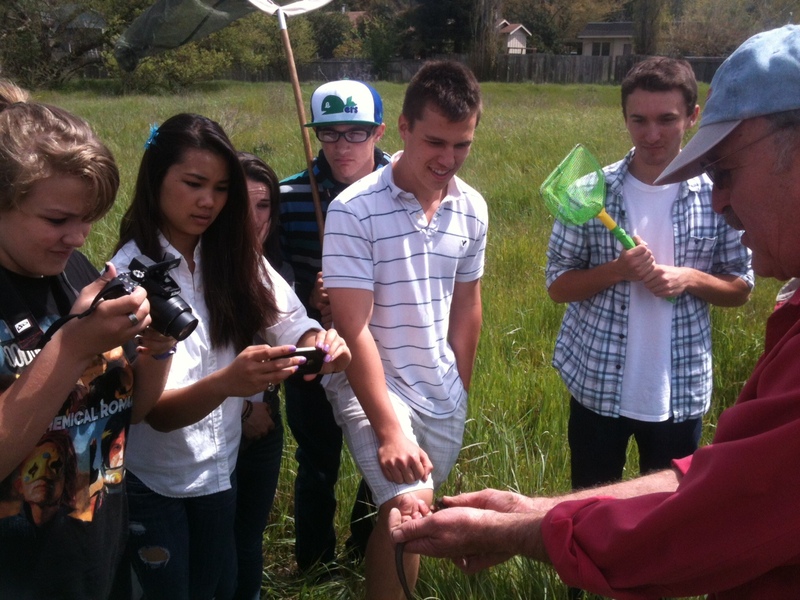 The www.iNaturalist.org website and Android and iOS applications provide a creative interface for students to become interested in observing organisms found in their local community. iNaturalist functionality is akin to the “The Facebook of Biology”, in that online photos and written exchanges between teacher, naturalists, and students are shared. Students also enjoy the “competition” of obtaining research-grade data. Educators are welcome to use my iNaturalist curriculum with accreditation per the Creative Commons license CC BY-SA. 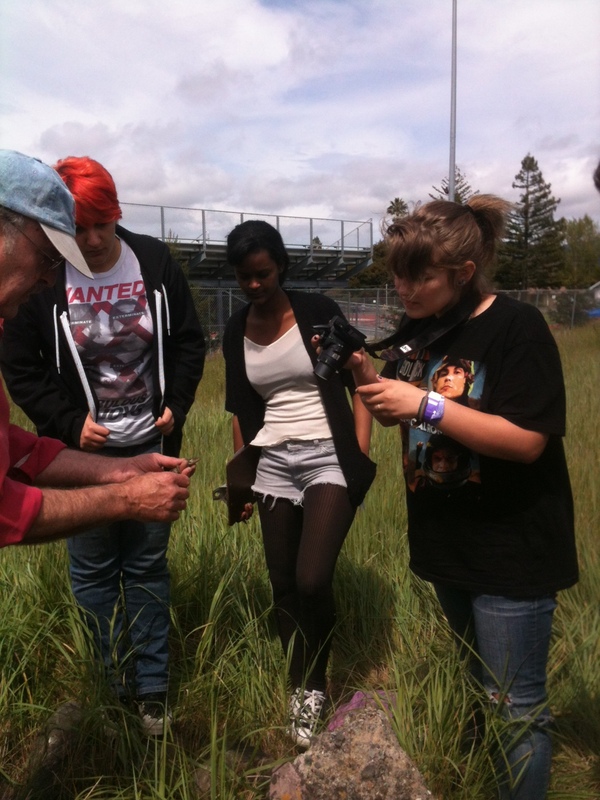 This curriculum is best suited for high school, middle school, and college-level biological science courses and includes a variety of lessons to support an iNaturalist project for students. Of course, the amount of scaffolding needed depends on the class level. I will make the best attempt possible to revise the curriculum documents to reflect any changes that might occur within the iNaturalist.org website and smartphone applications. 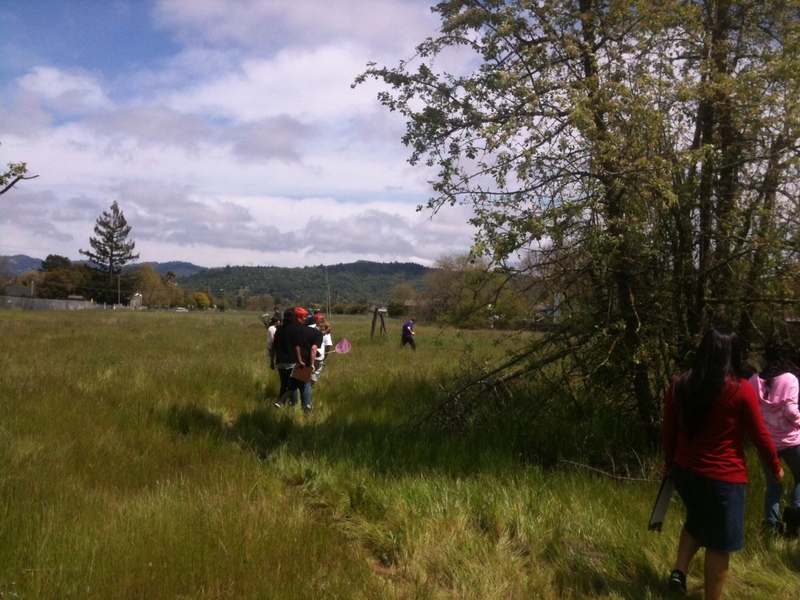 Even a ruderal site with some dispersed natives adjacent to a school can be the place of an excellent learning experience such as this next to Montgomery High School in Santa Rosa, California. I developed this iNaturalist curriculum as a major component of a high school biology Ecology Unit which occurred over the span of four weeks in the spring, toward the end of the school year, immediately proceeding a Classification Unit. All of my 150 students participated. Combined they documented 1,300 iNaturalist observations. Aside from iNaturalist, students also focused on a field lab notebook, and a plant press. Each student was required to complete a certain amount of each of these “duties”, or aspects of the project but each student also had a specific focus for the group project. This allowed for each individual student to complete one (or more) iNaturalist observations, complete a certain number of observations in a field lab notebook, and contribute and identify a certain number of plants to a plant press. So essentially parts of the project were due to individual effort but the final project was due to group effort (three duties total per group, one duty per student). I found this to be the most fair way to incorporate iNaturalist to a cohort of high school students in which on average, approximately one-third of the students had smartphones. Below is the curriculum in chronological order along with a brief description of each document. I supplemented these lessons with additional PowerPoint lectures, short video clips, vocabulary-building, small group activities, and guest speaker presentations. 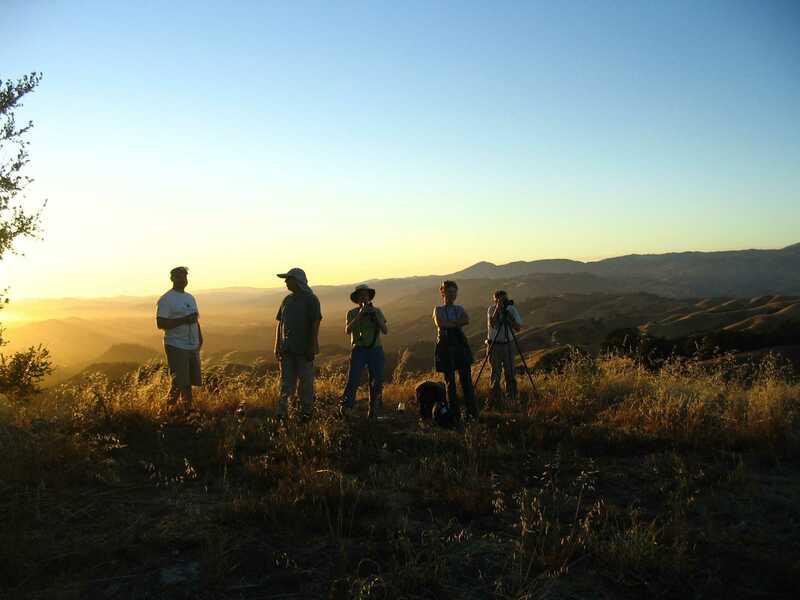 Connecting with other local iNaturalists especially enhances the curriculum if members of the iNaturalist community are able to visit, live video chat, and/or provide guidance during an iNaturalist field walk. Joining forces with local non-profits such as the Audubon and other conservation-oriented non-profit groups will make the project especially exciting. For example, Point Blue, a local conservation science group visited my biology classes. The educator brought in bird skins for students to practice sketching unique characteristics into their field notebook after a short field walk on campus observing birds. However, I do not recommend that students be required to document birds using iNaturalist as it can be particularly frustrating for students. However, bird clues (bird guano, feathers, etc) are fun for students to document. A full field day was allocated specifically for documenting observations for iNaturalist. 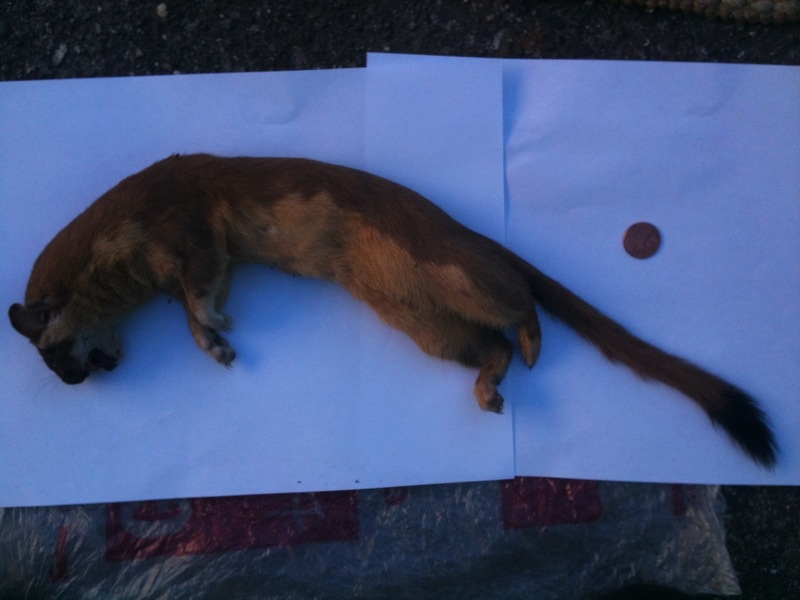 This occurred adjacent to the school site with a trained Audubon Canyon naturalist. This was particularly important for obtaining a positive return on individual iNaturalist observations, something I required of each student and not just of each student group. It’s also valuable to share with students information about free local nature-related events where they could obtain iNaturalist observations. For example, every spring, one of our local preserves offers a free Wildflower Festival. I strongly encourage a field trip during school hours AND event recommendations for students to obtain biological observations outside of school time. High school students are engaged during observations with the support of a local naturalist, Richard who is a volunteer with Audubon Canyon Ranch, a local non-profit organization dedicated to conservation and education. Sometimes students “roshambo” for an observation photo opportunity. Prior to the project, students from each section/class were surveyed to determine the number of students with smartphones. In 2012, approximately one-third of my high school students (“academic” or “regular” level) had a smartphone (but currently in 2016 nearly 99% of students have a smartphone). In 2012, most students had some method to take digital photographs (such as using their phone or digital camera). However, I could have used a few extra digital cameras for my “regular” level class as many students in the lower socio-economic groups tend to have less immediate access to digital imaging technologies. At the start of the project, I placed students in groups of three. For student group placement, I included at least one student per group with a smartphone and at least one student who was self-described as tech-savy and/or interested in photography. (HINT: Students should understand that the survey is very important but don’t give details about how you will use that information or they will try to fudge their answers in a desperate attempt to get with their desired partners!). Click here for the Student Survey Document. Setting up an iNaturalist project for your classes is very easy. At www.iNaturalist.org, I chose “(name of my school) Ecology Project”. Be sure to set up the project as a “competition”, the kids will love it! In the end, they were very thrilled to get more observations than our local non-profit preserve. I recommend that you come up with an outside “competition” so that they can not only compete against those in their class(es) but also as a school. Here is my project I created as an example: http://www.inaturalist.org/projects/montgomery-high-school-ecology-project . A variety of age levels enjoy photographing organisms in their natural environment. Students (yes, even teens) will even get their family members involved. Reviewing aspects of the project throughout the duration of the project was crucial to their understanding of it. Group check-in time during class time was also critical. Click here for the Ecology Project Document. Click here for the Project Grading Rubric Document. Click here for the Successful Documentation and Participation Rubric Document. One way to get the students excited about obtaining observation is to provide an incentive other than a project-related grade. I chose to give an automatic A on the final exam to the student(s) with the greatest number of research-grade observations (with specific criteria). Read below for details about how the entire group could earn an automatic A to avoid favoring those students with smartphones. Click here for the Biology Final Exam FREE Pass Document. We used the school computers during class time. Here each individual student set up their own iNaturalist account on www.iNaturalist.org. 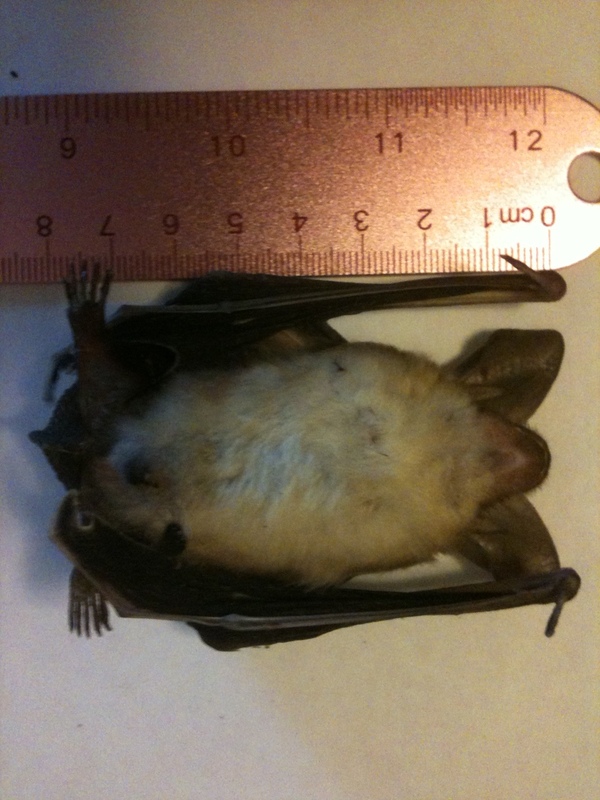 Students did this using a webquest which I found to be a critical part of students’ understanding of iNaturalist. I was able to walk around and assist students as needed. Students should have a specific iNaturalist username (eg. I had each student use this format: “LastNameFirstNameClassPeriodNumber”). They have the opportunity to “follow” their group members and eventually read comments from each other, the iNaturalist community, and me. I would allow 1.5 hours for an academic high school class of 33 students for this webquest assignment. Click here for the iNaturalist Webquest Document. After the webquest, students were trained about the functions and purpose of iNaturalist through a PowerPoint lecture where they took Cornell-style notes. Click here for the iNaturalist TRAINING PowerPoint. Your request for access to the training PowerPoint will typically be granted within 24 hours. 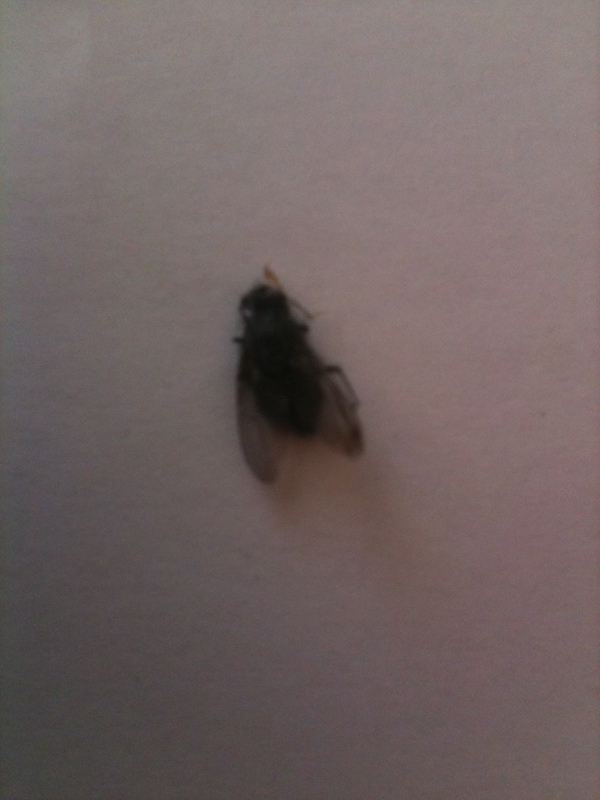 A house fly buzzing around during class time is a sure way to increase the excitement of the class and a great way to model all the steps documenting an observation. 1) You are collecting research-grade observations used by real scientists. Let’s let the scientific community be proud of us! We are doing something very important and the community is watching us. 2) Your observations are YOUR observations. If you are sharing a camera or phone with a group member, you can agree as to who uses which photo(s). You are NOT allowed to download photos from the internet, that is illegal. Not only will you get an F on the project (and other school discipline) but you could be prosecuted or fined for copyright infringement. 3) No photos/observations of humans, pets, domestic animals, or landscape plants are allowed or you could be removed from the project. The goal is to get NATIVE (not invasive or ornamental species). You will need to get your observations from “natural” areas such as (local state or county park examples near school area given). HINT to educators: I do a lesson on native and invasive species so they understand the difference earlier rather than later, see “Scaffolding” below. Teacher Tip: Suggest specific nearby locations in which students would most likely observe native species. 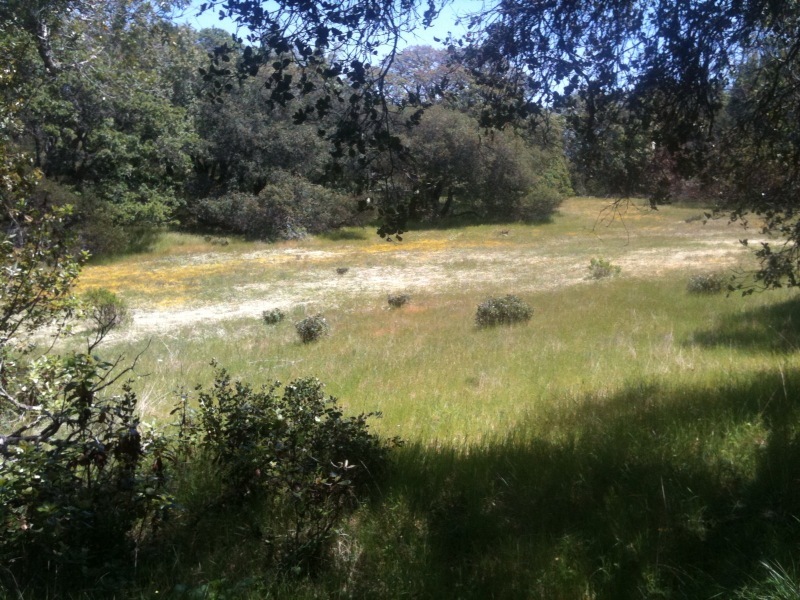 Photo: Annadel State Park (in Sonoma County, CA). 4) Each observation must have a specific location (using the GPS in a smartphone or manual Google pin drop). You must attempt to ID to the closest taxon level that you can. You must revisit your observations regularly (ie read and respond to comments, agree or disagree to IDs, check group members IDs, etc.). Even with a field guide book, students will often need additional online identification support to get down to the lower taxa levels. 5) You MUST incorporate your observations into our project to receive credit!!! 6) I will provide regular online support and comments on your observations so be sure to check and recheck your account regularly! 7) Each observation must have at least THREE photographs (ie if your observation is a tree, take a close-up photo of a leaf, one of a branch, and one of the whole tree, etc.). Scale is also very important. Finally, with detailed photographs and at least a few sentences (ie. physical description, behavior, etc. ), you are more likely to get your observation identified to species level or lower. There ARE ways to include multiple photos using a digital camera or using the smartphone application!!! Students tend to skimp out here and only take one photograph per observation. 8) You must read the “iNaturalist Observation Protocol” (example protocol follows). The goal of the field day was for students to focus on their first iNaturalist observation(s). Ideally a trained naturalist will lead the field day(s). Each individual student was then assigned their first individual iNaturalist observation for homework. 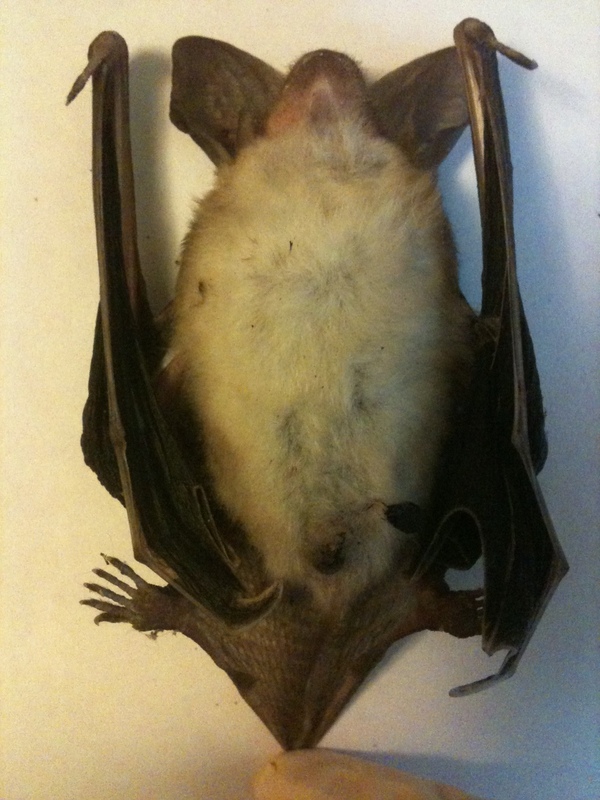 Yes, dead organisms can be used as observations but be sure to check local guidelines for handling and share this information with your students. Click here for the iNaturalist Individual Assignment Document. Students’ understanding of how to use field guidebooks is important to increase their confidence in species identification. However, if students take decent photographs, they will have to do little in terms of taxonomic identification for iNaturalist. I emphasized student effort of taxonomy rather than if it was correct/not correct. This is especially true for the low-level Biology classes. Click here for the Using Field Guide Books Document. 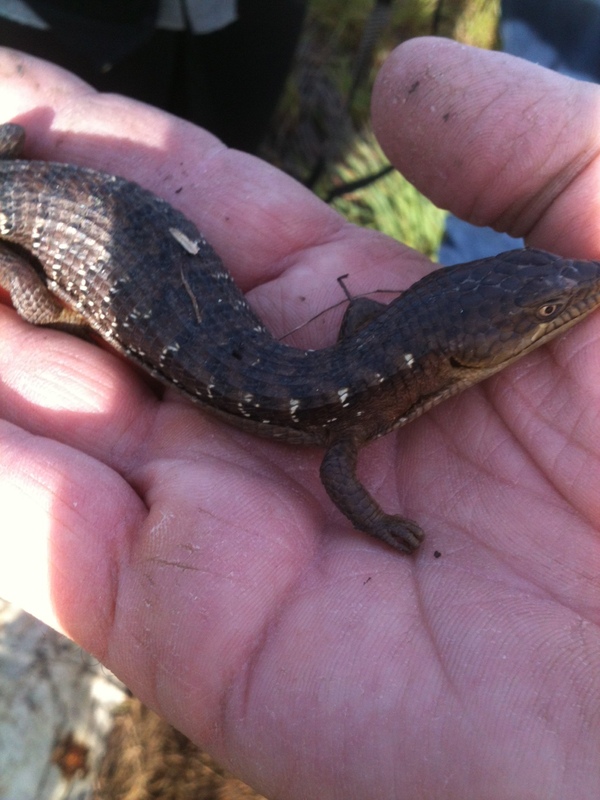 Click here for the Invasive Species Notes Document. PowerPoint presentations with photos and examples as well as videos such as “Cane Toads: An Unnatural History” along with the movie video notes are some examples of ways to increase students’ understanding of invasive species. Additional scaffolding for low-level classes: Print out the “Add an observation to ______ School Project” page from the school project site for students to manually write in the information of their first observations before typing it in. Click here for the iNaturalist Project Turn-in Form Document. Teacher tip: Emphasize the importance of “detail” and “scale” in observation photos for the best chance of “research grade” status. The winners of each category (Plant Press, Field Lab Notebook, and iNaturalist) were each open to ALL students (one student winner from each category for each class period). There are more specifics about the iNaturalist winner(s) on the “Biology Final Exam Free Pass” document. This was my solution to avoid any student advantage involving phone applications and technology. I found this method to be overall the most fair. Also, the iNaturalist winner had to be only in one students’ name (not combined group observations). Occasionally, uncommon species may be observed. iNaturalist Curriculum by Julie L Wittmann is licensed under a Creative Commons Attribution-ShareAlike 3.0 Unported License. Thank you for sharing your curriculum and experience in implementing it so generously with the general public. I plan to use your curriculum as a guideline to design a project based learning module for my high school ( Dual college Biology, AP, and Pre AP Biology) class covering ecology and taxonomy. I plan to use iNaturalist to record native plants in East Texas and provide a digital guide for the local roses and/or azelias. I hope to wrap it up by Earth day so the students have a product to share with the local community. I am open for suggestions and advice. Thanks for posting all your project specs in such detail. Thanks for your support for the Montgomery High School Ecology Project field trip! The students were amazed at your naturalist skills. Your great biological discoveries really excited the students during their first iNat observations. I was directed to your site by the education staff at the Pepperwood preserve as I inquired about bringing a large group of honors 9/10 students for a field trip. They suggested the iNaturalist program as vehicle for framing our day at the Preserve, and your curriculum as a model. Thank you for sharing your work/resources! My students have studied ecology and populations, but no systematics. I have 2 weeks for spring break (+ furlough) and will explore your curriculum then. I’ll use class time in April to train the students, with a field day to Pepperwood in May. Any additional advice/suggestions are appreciated!